The 32-year-old tweaker was accompanied by team physiotherapist Patrick Farhart and another support staff member to bowl in the indoor centre facilities even as the under-fire Australian side practiced in the outdoor nets. 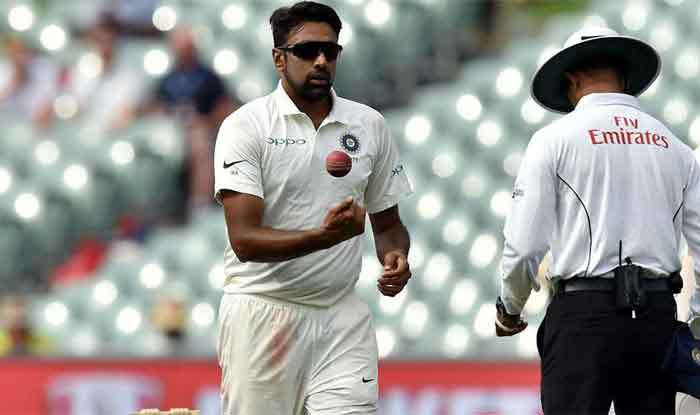 In a bid to return to the playing XI for the fourth and final Test at the Sydney Cricket Ground, starting Thursday, India’s premier off-spinner Ravichandran Ashwin on Tuesday underwent a solo indoor bowling session while the rest of the Indian team preferred to take a day off. Ashwin, who suffered a side strain during the first Test win in Adelaide, where he claimed 6/149 — his best match figures in seven Tests in Australia. With India eyeing a historic series win on Australian soil, and if the SCG wicket favours the spinners, the Indian team management will be keen to include the spin twins in Ashwin and Jadeja. Moreover, with Rohit Sharma set to miss the final Test, Ashwin’s handy batting down the order puts him in good stead to bat at the No.6 spot followed by Jadeja and the rest of the tail. Since the vacancy in the team is created by Rohit Sharma going home to be with his wife and their new-born first child, a daughter, Kohli might even think of getting a batsman, thus gambling one final time with either Lokesh Rahul of Murali Vijay, pushing Hanuma Vihari to No 6 in the order. The Sydney pitch is known to assist spinners and so it should be Ashwin who can be classified as an all-rounder, having scored four Test hundreds and 11 fifties.